As mentioned in my previous post I wanted to look at participating in an introductory climbing course. The reason is to improve my basic rope skills and climbing skills to help aid in my mountaineering course next February and, going forward, hopefully in the Alps. I chose Peak Mountaineering due to online reviews. “Peak Mountaineering's Introductory Rock Climbing Course is our most popular Peak District climbing course. Two full days gives plenty of time to try this exciting sport as well as learning some of the essential skills. We'll also use a variety of locations to give you a real taste of the countries first national park. 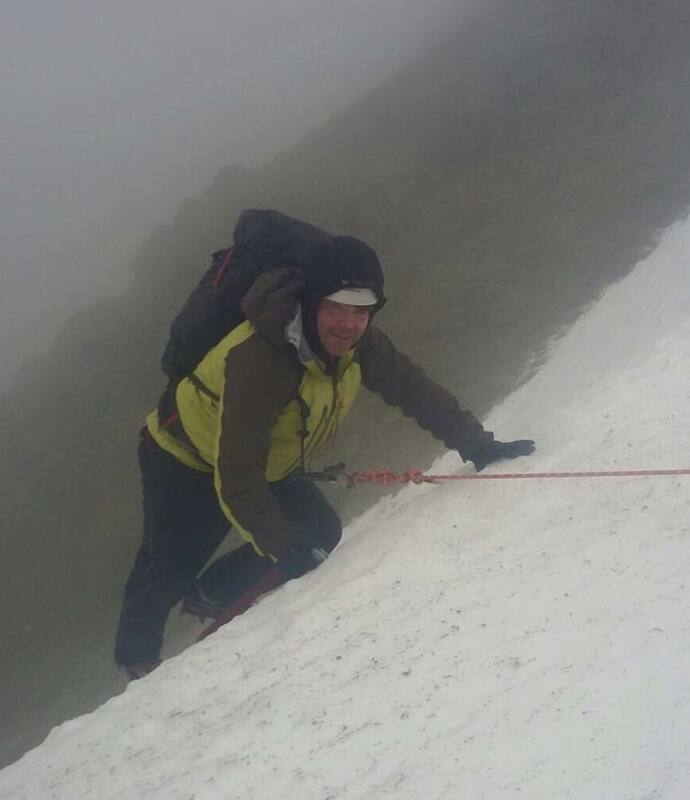 In the safe hands of Peak Mountaineering's highly experienced instructor team we'll help you gain the most from your time in a supportive and friendly environment. I really like the sound of the course and the people running it. I want to brush up on rope work and the other basics so that when I go for my course in February and hopefully on to the Alps in the future that I don't need any instruction in basic rope work. That would allow for more focus on tuition in more relevant techniques and skills. This was some advice given to me by Paul Warnock at Plas Y Brenin and I intend to follow it. The course is £140 for two days with a maximum guide to client ratio of 1:8. My contact with Paul Lewis, the company founder, has been appropriate and quick. I've explained my aims from the course and my restriction, with which Paul was more than happy to work with me. Looking at online reviews the tuition seems to be of a high standard. As they say, the proof of the pudding is in the eating. Out of interest, does anyone use 'Edge' in Windows 10 (yep, I turned to the dark side) to surf the Internet? If you do, do you experience a strange shimmering effect from the text on the side of my blog i.e. the blog list etc? Well I've gone and done it now....... Again! I have signed up for another mountaineering trip, this time with Moran Mountaineering, in Scotland. The company was started up and is run by Martin Moran, mountain guide and Author. I read Martin's biography, Higher Ground, last year, which was very inspiring. His journey to becoming a mountain guide, highlighted in his biography, is very interesting with quite surprising origins. I can highly recommend reading Martin's biography with signed copies available from Martin himself on his website (www.moran-mountain.co.uk). You can also purchase his books; The 4000 Peaks of the Alps and The Munros in Winter. Training will be beginning in vain now. Long walks with a weighted pack (off out early tomorrow morning), High Intensity Interval Training, weight training and trail runs to make sure I am fit enough for February 2017. I was not as fit as I would have liked when I went to Wales in February this year. I am fitter now than I was then, but want to turn up the wick and make sure I can enjoy myself and learn a great deal. I will write a review after the trip. I have just had a break from the blog for a few months to concentrate on other things. But hopefully I can use writing on here to provide some motivation, along with having paid my deposit already. I bought the boots around 18 months ago and have used them on a variety of terrain. The following is my review based on that use. Plas Y Brenin is an outdoor sports education facility with quit a reputation for excellence. Their main site is in the small village of Capel Curig in North Wales right in the Snowdonia National Park. As mentioned in December 2015, I had signed up for a Welsh Winter Mountaineering course with them. The only thing missing was the snow, but some did arrive, and we found more. I mention this separately from my review as this was the only part of the course with much to desire and out of the hands of the Plas Y Brenin team. I've finally made the jump and paid out for a Welsh Winter Mountaineering course with Plas Y Brenin. I know that a course in Scotland would have a higher guarantee of snow, but I also want to book a scrambling course in Wales with Plas Y Brenin later in the year. I'm looking forward to the course more than Christmas. I'm off to do the course the first week in February 2016 and will feedback my experiences on here. I've gone for the full bag of mashings; the course, accommodation and insurance. The pricing is on the site, and I think it is very reasonable when taking into account five nights stay and all the meals. But like most things, proof of the pudding is in the eating. One positive already is communication. I asked a question via email and the response took a couple of days, but was very good and exactly what I needed. If you have experienced a Plas Y Brenin course please feel free to pass on your comments below. Besides helping improve my fitness, my early morning runs have another advantage. Review: Osprey Talon 22, but not the Kitchen Sink!